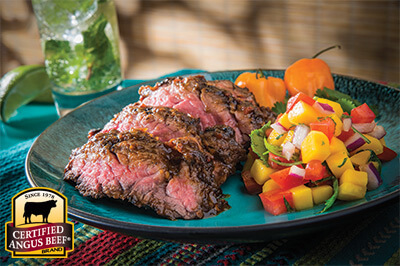 Flank Steak Fajitas are quick to make for a healthy Mexican dinner or to celebrate Cinco de Mayo. Any night can be a fiesta with this easy recipe. Combine lime juice, fajita seasoning and 1 tablespoon oil. Thinly slice flank steak across the grain and place strips in zipper-locking plastic bag; pour lime mixture over steak strips and close bag, removing excess air. Marinate in refrigerator for 30 minutes. 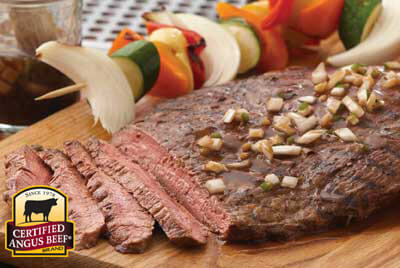 Remove steak strips from marinade; discard marinade. Heat remaining 1 tablespoon oil in a skillet over high heat. 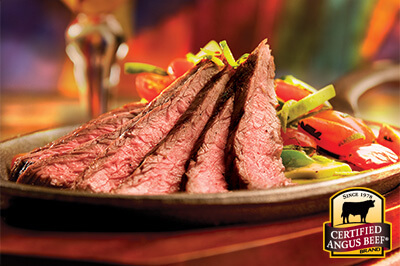 When oil begins to smoke add flank steak strips and stir frequently until brown, 2-3 minutes. Add onion and pepper; continue stir-frying until onions are slightly brown on edges, 5-7 minutes. 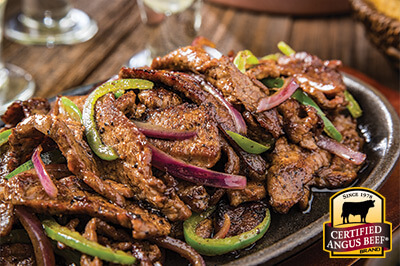 Serve fajitas immediately in flour tortillas with choice of prepared accompaniments.